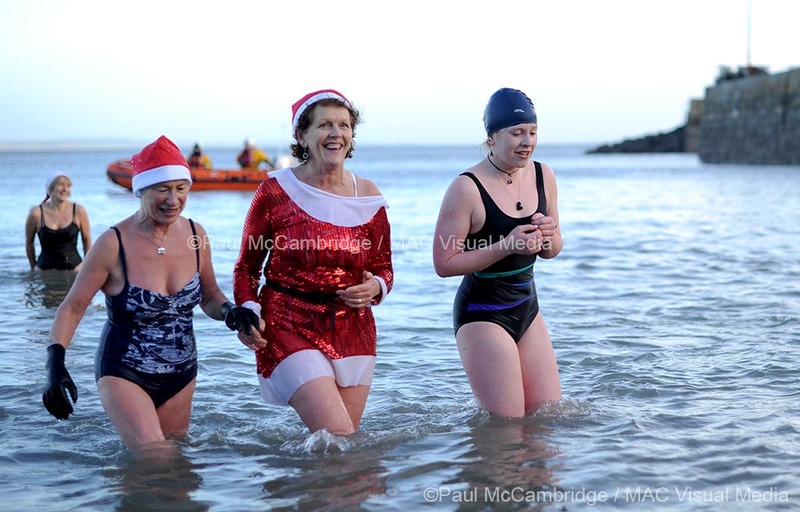 CHRISTMAS EVE SWIM at King John’s Pier, Carlingford, Co Louth. 24th December; Register 11.30am, swim starts 12noon. CHRISTMAS DAY SWIM at Newcastle Harbour, Co Down. Raising funds for Knockevin School Dundrum. XMAS MORNING SWIM at Myrtleville Beach, Cork, 11am. DARE TO DIP for Cancer Focus NI at Crawfordsburn, Co Down. NEW YEAR’S DAY SPLASH for mental Health Charity AWARE, Newcastle Beach, Co Down. The first 70 people registered will receive a free spa pass for two at the Slieve Donard Resort and Spa or Culloden Estate and Spa (valued at £60)! Registration is £10 and that includes an AWARE t-shirt. If you would like to know more about AWARE or about the event please don’t hesitate to contact kieran@aware-ni.org.